Welcome to Sunik Roofing, where skilled tradesmen work alongside certified journeyman roofers to provide customized roofing services and exceptional customer service. We have been one of the most trusted Calgary roofing companies for close to 30 years and look forward to serving your family for decades to come. Whether you need a complete roof replacement, an affordable roof for a new construction project or repairs to an existing roof, our family-owned business strives to serve you with excellence. We were born in Calgary, and we do our part to keep our community strong and safe. When it comes to roofing with integrity, Calgary residents know to call the professionals at Sunik. Maintaining a safe work environment is our top priority, and we install our warranty-backed materials according to manufacturer specifications. Your home is one of your biggest investments, and we have the expertise needed to help you protect that investment. Whether you need ongoing roof maintenance or a fresh build, we walk you through each step of the process and help you select materials that match your style and budget. For honest Calgary Roofing, residents trust Sunik Roofing for all their roofing needs. With experience comes good judgment and integrity. Our seasoned professionals offer all of that and more. Our flexible scheduling options allow us to work around your schedule for prompt and convenient roofing services. Receive a fair and honest estimate from a certified roofing professional who strives to keep every customer happy. No job is complete until the site is clean and we know our customers are more than satisfied. Every team member has the training needed to arrive on time and deliver exceptional service. We employ Calgary roofing pros who take their craft seriously and meet every challenge with a smile. We save you money by paying attention to details and getting the timeline right, the first time around. We walk you through every phase of the project and work until your expectations are met. Need to purchase a roof or replace an existing one? Our team will walk you through our available materials and styles and help you select the best one for your home. We will strive to maintain the highest standards of ethical conduct. We treat each other with respect and dignity and do the same for all we serve. We use top quality products and our skilled tradesmen and roofers strive to meet your specific structural and design requirements. We offer a maintenance program and keep all of our client records. In the event that your roof leaks due to poor workmanship causing damage, we pick up the bill repairs for roofs covered by our warranty. We endeavour to be industry leaders through education, leadership and innovation and we search for innovative solutions to all problems that arise. Not all Calgary roofing companies can boast nearly three decades of flawless service to a community that they love. We have grown up in this town and take our role as a trusted industry leader seriously. 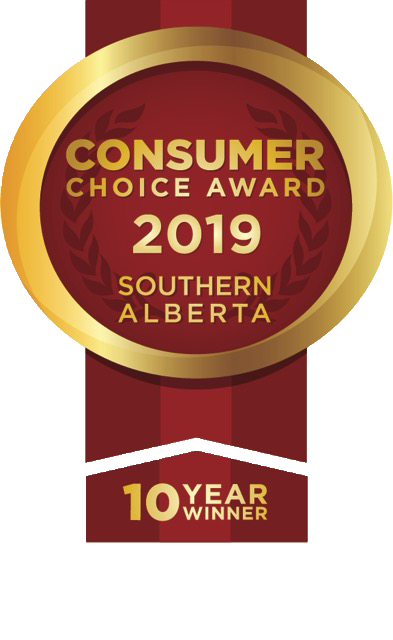 We have been accredited with the Better Business Bureau for more than 20 years and are proud members of the Alberta Construction Safety Association as well as additional industry organizations. We employ certified journeyman roofers to handle all of our estimates, and our roofing professionals are fully licensed and insured. We're committed to transparent, trustworthy roofing in Calgary. What makes Sunik Roofing the industry leader for Calgary and surrounding areas? It starts with our selection of only the highest quality materials, including cedar shakes, asphalt shingles, lightweight clay or concrete tile, recycled rubber and the best siding. If you need a roof for a new structure or want to extend your roof to cover an addition to your home, our goal is to meet your unique needs in terms of structural quality and design. We're also available on demand for all types of professional roof repair in Calgary. We know roofs. Allow us to help. Exceptional service starts with listening to your needs and assessing your property efficiently. We make roofing fast and easy by coming to you for in-person consultations and planning sessions. Our certified journeymen roofers provide itemized estimates that never leave you wondering what is and isn't covered. I called Sunik to help my 88 year old widowed neighbor who had large ice dams on her roof with water dripping down the exterior her house. She didn’t know what to do, was afraid that water was going to come in the house, and was unable to use her front door because of all the dripping water and ice. I explained the situation and Sunik fit her in that afternoon. The guys showed up dealt with the issue efficiently and effectively. Sunik even gave her a bit of a seniors discount – only charger her an hour when they were there for a bit longer. When I checked in on my neighbor that evening, she was so pleased that she didn’t have to worry about her roof leaking anymore, and she couldn’t stop talking about how nice the roofers were and how they even cleaned up all the ice around her house after they chipped in off the roof. To top it off my neighbor thought she might need a new roof and asked the roofers when they were there – the guys from Sunik told her that the roof was solid and had at least another 5 years. A less honest contractor could have seen that as an opportunity to book some work. Thanks guys – based on this experience I will 100% use you for any roofing related needs and recommend you to others. They were easy to contact and came out for a free quote within a few days of my first call. The quote was extensive, all-encompassing prompt and informative with several price and material options that they took time to go over with me. They even took pictures of my roof to identify problem areas. Once the work started, they were prompt, organized, as quiet as they could be and they left the yard clean aside from two nails. I paid over the phone and received all warranty information via the mail a few days later. The roof looks great. Very happy with their work as well as how safely they worked. I would highly recommend. Nick and his team replaced our shingles as quoted...and also dealt with the additional issues the original build left for the past 30+ years. Anyone can rip and replace shingles, only true professionals can recognize future issues and remediate them before they cause issues. Thank you Sunik for the exceptional service, product and solutions! You are the definition of a professional roofing company, wish more were like you! I bought my house in 1998 and Sunik Roofing replaced my roof in 2002 and after 15 years they came back and replaced my roof again with a good price. I strongly recommend Sunik Roofing for anybody who wants a new roof. They did amazing work. Thanks Sunik Roofing! We just had Sunik replace our roof, and were very happy with the service. Nick came out to give us a quote and explained their service and our options thoroughly. Once we agreed to go ahead, they got on the job within a few days. The crew was friendly and efficient. They got the job done in one day, with some of them staying well after dark to clean up. The roof looks great. One reason we went with Sunik was their 5-year workmanship warranty and their plan to come twice in that period to check on the roof. I know they have been around for many years, so expect they will be here to honour the warranty, if necessary.